One of my first real jobs was in the Sill Building, working for Braun and Braun Insurance Agency in the late seventies and early eighties. I'd spend my lunch breaks at the Coney Island, attending St. Matt's 12:13 Mass, or shopping. I registered for fine china at MaGill's. 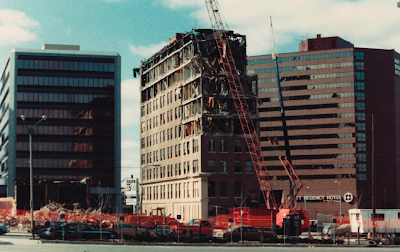 Though I was sad to see the Sill Building come down, the University's expansion downtown has been a positive step. I, too, have hope that the toughness and perseverance of those who love Flint will have enough of an impact to attract business and industry AND will inspire all of our sons and daughters who have left the area to return home. Hello Elizabeth,We worked together at Braun & Braun. 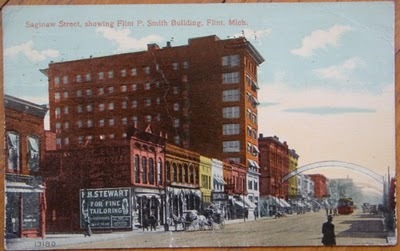 Where did all the records of the Flint B. Smith building go to when the building was destructed? 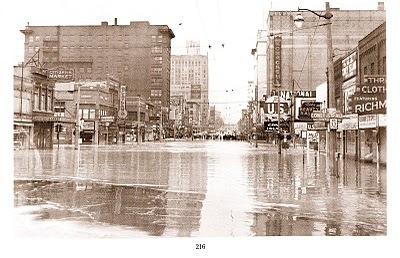 I am trying to backtrace the history of an organization that originated out of the Flint B. Smith building back in 1928 - the Houghton Lake Syndicate. I am reconstructing the history of LaMona Beach in Houghton Lake www.LaMonaBeach.com Any info is helpful! I saw this here or somewhere else before. I will contact someone who I know who spent time in such an area on Houghton Lake when she was young and fairly recently. Not sure if it was the same beach or a similar set up. When she went up after being absent for decades a few years ago, everybody still knew her! It seems it was some kind of very restrictive association with very complex rules on family succession. The way that I heard it, it was a subdivision with a common beach access. Over the years there was controversy about too much access polluting Houghton Lake, and it seems like they tried to limit ownership to original owners and direct descendants, and it seems like the agreement has a sunset clause where they no longer can own it or have shared owner access to Houghton Lake. Sounds heavy handed, but these types of problems are common. JWilly might know some more about it. Everyone has a different perspective. This is why I love Flint Expats. How else would I have found this? Mackin and Lavelle represent! Hooverhood!